We may all be cousins; but they are of the House of York and we are of the House of Lancaster. Never forget it. 1453. Heiress to the red rose of Lancaster, Margaret Beaufort is a strikingly pious child. Saints' knees her stigmata, she has a fierce and unwavering sense of destiny. If not a nun, then she'll be Queen of England and sign her name Margaret Regina: Margaret R.
Still a girl, Margaret is sent to a loveless marriage in remote Wales. There, she gives birth to a son who she names for the King, her cousin, Henry VI of England, who is sinking into madness. 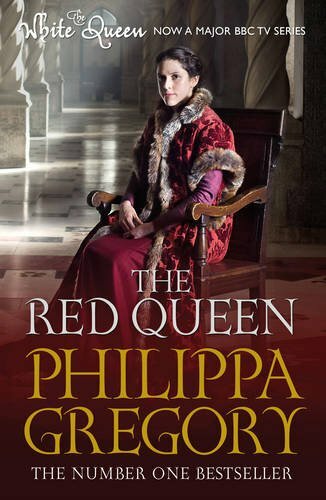 Determined to put her Henry on England's throne, regardless of the overwhelming power of York dynasty, she sends him into exile and pledges him in marriage to the daughter of her enemy Elizabeth Woodville. Meanwhile, devoted in her belief that her House is the true ruler of England, Margaret feigns loyalty to the usurper King Richard III and masterminds one of the greatest rebellions of all time. A quick and easy read, apart from too many people with similar names that got me confused at times. I found Margaret Beaufort to be a less likeable character than Elizabeth Woodville, a bit too narcissistic and snobbish at times. Learning of her upbringing, I'm not too surprised how she turned out. Look forward to reading the next in the series. Book 30 of 87, 87 books for 87 years. In memory of my gran (Ena). Adding this into my A Little Bit of Everything VBB. Going travelling in Stubee's UK Random Book Box.